Are you just getting started on the road to being a great online poker player? For anyone who’s still learning how to play poker, this article will be incredibly useful – here we discuss one of the single most fundamental online poker skills: knowing when to fold, which is comparable to learning how pick your battles wisely. In poker as in life, there are times when you must press on with all your might, and there are times when you have to know when to pull back. Understanding the appropriate course of action for each moment is what sets apart a consistently successful player. In online poker terms, we use the term “fold your hand” for giving up on a hand that offers you a moderate to poor statistical outcome. 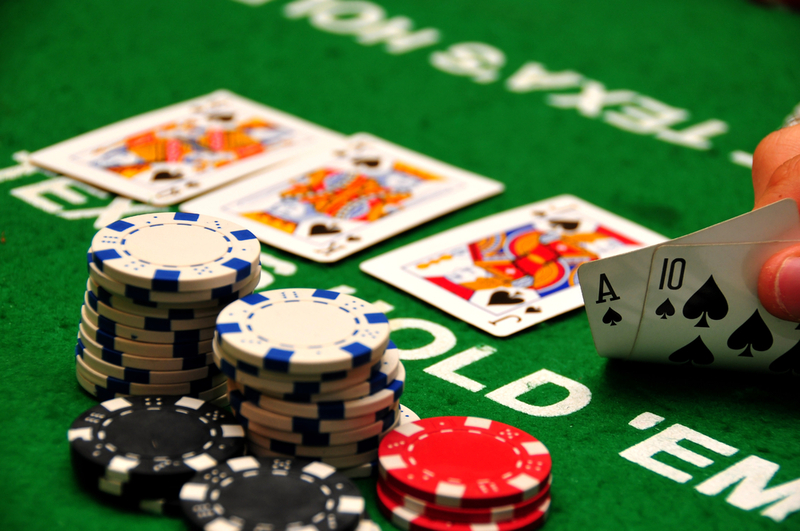 To become good at online poker, you must have a clear sense of when to fold and when to call or raise. Read through the following sections to learn exactly what is a poker fold as well as to understand when you should fold your hand in online poker. Understanding this distinction is crucial if you want to learn how to play poker like a master! What is a poker fold, and when should you fold your hand? A poker fold is what happens when you decide not to join a hand because your hole cards aren’t competitive enough from a probabilistic standpoint. This is a great way of cutting losses, since often a poor set of hole cards will indeed lead to a poor hand and a big likelihood of throwing chips into the pot never to see them again. If you’re wondering exactly when to fold, the answer is simple: you should do it often! In fact, your focus should not be in checking whether you should fold but rather checking if your pocket cards hold promise and warrant some investment. A good rule of thumb for novice players is: “in case of doubt, just fold”. The vast majority of beginning players are much too eager to join most hands because they want to jump right into the action. Typically, this leads to disappointment and loss, since you really can’t win at poker by merely hoping for the best and wishing for the right cards to come your way. One of the most important things you have to do if you want to learn how to play poker like a true master is to amass experience out on the tables. However, getting experience can be extremely costly if you join most hands on a whim! You must keep in mind that by folding your hand you still have a great opportunity to get mileage by watching how the game unfolds as well as analyzing other players. Simply put, you should fold your hand more often than not – especially as you’re still learning how to play online poker. Do not feel bad about about missing out on a good hand every now and then, since having patience and discipline will be one of your biggest assets as a poker player… and folding is one of the best ways to grow these assets. In case of doubt, always fold! You may think this is overstating the matter, but if you pay close attention to any game of poker you should notice that players who win the most are typically those who fold the most. This is true even for aggressive players who like bluffing and manipulating the board! Conversely, players who play most hands tend to be haphazard and clumsy in their approach to poker; these players will easily get noticed by the more experienced players and will invariably fall prey to their superior technical understanding. While you’re still learning the ropes of poker, erring on the side of folding is one of your better courses of action. Not only will it allow you to play more hands with the same amount of chips – which will translate in more experience for the same investment – but it will keep you from getting instantly marked as a novice player who will be regarded as an easy target by players of higher skill level. Remember: online poker may seem like a game of luck when you’re just getting started, but it’s actually a highly strategic game of people reading. In order to stay ahead of the curve you have to sit tight and watch other players closely, and only make a move when you’re really confident in your pocket cards.